The Wadia group-promoted budget carrier does not have a CEO since the departure of Cornellis Vriewijk in February, who quit the company citing "family" reasons after being at the helm for less than nine months. As many as 15 senior management personnel, including chief executive, chief operating officer and the chief commercial officer, have left GoAir in a span of nine months beginning last July, due to various reasons. Chairman Nusli Wadia's son and the airline managing director Jehangir (Jeh) Wadia has since been holding the additional charge of the CEO. "The last three quarters of the previous fiscal saw the departure of some 15 top and senior executives from the airline. These include the CEO, the COO and the CCO, four vice-presidents besides scores of heads/general managers," an industry source told PTI. Of these, chief operating officer Jyri Strandman and chief commercial officer Manish Ranega parted ways within the span three months and the airline has not announced their replacements yet, and so is the position of the CEO. Though the airline has offered these positions, especially that of the CCO, nobody has so far accepted them. While Strandman quit the position after "differences" with the management, Ranega put in the papers within two months of taking charge, as per the source. While an industry expert attributed these departures to the 'entrepreneur/promoter-led businesses' model of the airline, GoAir termed attrition as an industry-wide phenomenon, and that some of them were found "wanting" on critical performance parameters and were asked quit. "People also leave organisations because of their own personal or professional reasons," the airline added. Some other executives who left the carrier during this period include vice-president for assets, contracts and procurement Brono Mundaca, who resigned last August; marketing vice-president Saurabh Grover in October, company secretary Nikhil Vohra in November, the source said. While vice-presidents for sales Manoj Dharmani, and for legal Chandrashekhar Laxman, head of strategy and planning Satyendra Pandey and head of ancillary sales Sushen Kurian left in December, the head of contracts Prasad Jogalekar exited in January, among others, said the source. In addition, the head of pilots training and two other heads for regional sales also quit during this period, the source said, adding the airline also lost its chief spokesperson Vaibhav Tiwari in February. "This kind of attrition is more in entrepreneur- promoter-led companies and not something special about GoAir only. This is also about the way a company functions and how you guide work," said an expert. 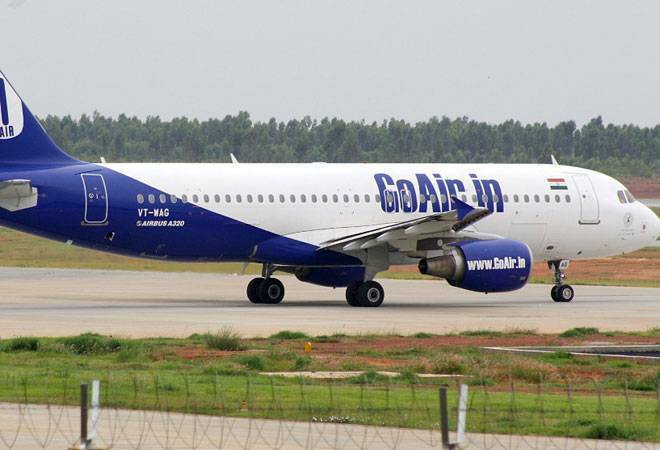 However, according to Mark Martin, the founder of research and advisory firm Martin Consulting, "GoAir is aligning its international operations with domestic network. In such a scenario, it needs to start giving its people international experience." An industry source said one of the reasons for such high level of attrition could also be because of the alleged reluctance of the management to re-deploy some of these executives for international operations.